"Learning more about different sides on why data quality is important for re-use was also knowledge I can apply in my work." 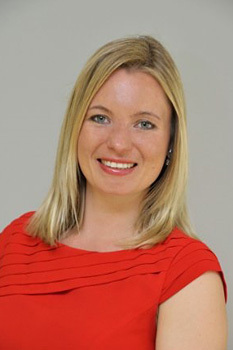 Heleen Vollers is a Senior Management Consultant from The Netherlands. She currently works for the European Data Portal project. She enrolled in the online course Open Data Governance: from Policy to Use in 2016. I am working for the European Data Portal project and was therefore interested to learn more about Open Data and take a course specializing in the field. I decided to choose the Policy Track: Develop better open data policies. I think it was a very interesting course and I learned quite a few new things. The teachers were very knowledgeable about the different subjects discussed during the course. One of my main responsibilities at the European Data Portal is stakeholder engagement and knowing what's going on in different countries and cities. Learning more about what happens in for example New York and Vienna was interesting to me. Although the focus of my work is Europe, it's interesting to learn about what other like-minded countries and cities do and how to overcome barriers. In addition, learning more about different sides on why data quality is important for re-use was also knowledge I can apply in my work. As for the learning environement, I liked it. It was a low threshold and it was good to see how others answered the questions. I liked the flexibility the course offered. It was good to be able to do each assignment in your own time. My advice to someone who would like to take a similar online course would be: It’s useful to have a basic knowledge of Open Data before you start the course. Make sure you allocate a few hours a week to do the course properly. In the end, it will be rewarding and you will learn more about Open Data policies and applications in other cities and countries. "My main motivation was to keep abreast of recent developments in the field of open data governance."